Korey RicheyBlah blah Arcade Fire blah blah? Blah blah Reflektor blah blah, double album blah blah Rodin’s Orpheus and Eurydice blah blah October 29. Blah blah “Reflektor” blah blah first single blah blah 9/9/9:00 blah blah – weekend leak blah blah David Bowie blah blah James Murphy – blah blah disco-riffic. Blah blah video premieres blah blah Anton Corbijn blah blah conventional video blah blah Vincent Morriset blah blah Google Creative Lab blah blah interactive video blah blah Creators Project blah blah boombox collaboration. Blah blah Win Butler blah blah interview blah blah BBC1’s Zane Lowe; blah blah summaries blah blah Pitchfork, blah blah CBC Music, blah blah Spin. Blah! Blah blah semi-secret shows blah blah Salsatheque in Montreal blah blah world tour coming. Blah blah promotional machine, blah blah blah. Blah, blah Saturday Night Live blah season premiere blah Tina Fey blah September 28. With their new 7″ out this week, Stars have deemed it safe to stream the b-side over at Under The Radar. The Weeknd has put out a new video from the just-released Kiss Land. He plays three nights at Massey Hall on October 17, 19, and 20. Bullett got to premiere another new track from The Darcys’ new album Warring, but the fact that CBC Music now has the entire record available to stream ahead of its release next week, September 17, makes it kind of moot. For those outside Canada and geoblocked, KCRW also has a stream. 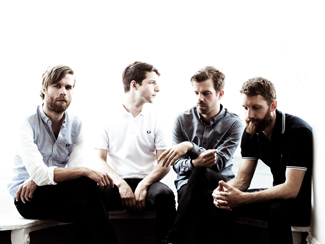 The Darcys play Adelaide Hall on October 11. Also out September 17 and available to stream is Internal Sounds, the latest effort from The Sadies and you can hear that at Exclaim as well as read an interview with the band about the new album. Beatroute has an interview with Young Galaxy, who’ve made another new track from the Ultramarine deluxe edition coming out September 24 available to stream. Hear Nebraska and NOW talk to Basia Bulat about her new album Tall Tall Shadow, coming out October 1. She plays The Polish Combatants Hall on October 10, 11, and 12 to celebrate its release and if you’re thinking that’s one extra date than the last time you checked, you are correct – they’ve added a third show on the 12th, which makes this less a concert than a veritable Basia-fest. Tickets for that show, like the others, are $20. Exclaim has got the video for the title track of Great Lake Swimmer Tony Dekker’s solo debut, Prayer Of The Woods. It’s out October 8. NOW catches a quick word with Shad, whose new album Flying Colours is out October 15 and who plays The Opera House on October 19. Montreal’s Suuns have slated an October 19 show at the Adelaide Hall in support of this year’s Images du Futur; tickets for that are $15. Vancouver’s excellent Belle Game will be at The Drake Underground on October 25 behind their equally excellent debut Ritual Tradition Habit, tickets an eminently reasonable $12.50 in advance. Because he really doesn’t need a particular reason, Joel Plaskett will be at The Danforth Music Hall on November 2 to play some songs accompanied by his father Bill. They’ll do two sets that night and tickets run $29.50 in advance. Former Forest City Lovers frontwoman Kat Burns has announced details of her full-length debut as the electro-pop act Kashka; Bound will be out November 5 and details can be found at Exclaim and a super-brief trailer below. 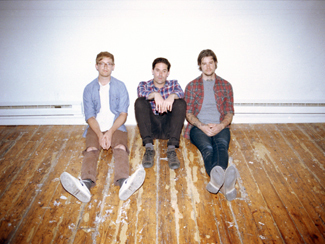 Beatroute has a feature on Braids, who play The Great Hall on November 10. Hayden has announced a Fall tour which wraps up with a hometown show at the Danforth Music Hall on November 30, tickets running from $32.50 to $39.50 in advance. He’s also released a new video from his latest effort, Us Alone. Mechanical Forest Sound is sharing a recording of Ohbijou’s farewell show at The Great Hall last weekend. Zach SlootskyConsidering how much of the narrative around The Darcys’ first two records were focused squarely on the past – the band’s self-title inexorably tied to the band’s own turbulent history and their Aja cover album to their affection for Steely Dan’s work – it’s understandable that the promotional lead-up to the September 17 release of their new record Warring would be so eyes forward, full steam ahead. Since its initial announcement at the end of July, they’ve released streams of two new songs and crowdsourced remixes, and last week they premiered a first video at Esquire followed yesterday by another new stream via Tumblr. A full album stream should surface next week sometime, but it’s already a sure thing that Warring is a dark and dramatic work that balances the progressive and accessible. Further, they’ve announced a first batch of live dates in support of Warring and it includes a hometown record release show at the Adelaide Music Hall on October 11. Tickets for that are $20 and some are bundled with early release LPs available at stores around Toronto now – details here. Panic Manual conducts an exit interview with Ohbijou, who go on indefinite hiatus following a farewell show at The Great Hall on September 7. NPR has an advance stream of The Weeknd’s new album Kiss Land, which is officially out on September 10. He plays three nights at Massey Hall on October 17, 19, and 20. Southern Souls has a video session with Austra. They play The Phoenix on September 26. Flare gets fashion spread-y with Carmen Elle of Diana and Basia Bulat, amongst other Toronto musicians. The former plays The Great Hall on September 26, the latter releases Tall Tall Shadow on October 1 and plays The Polish Combatants Hall on October 10 and 11. Dears frontman Murray Lightburn will bring his just-released solo record Mass:Light to the stage at Adelaide Hall on October 12, tickets $15 in advance with a number of 2-for-1 packages improving the value proposition. The Take has an interview with Lightburn about the new record. 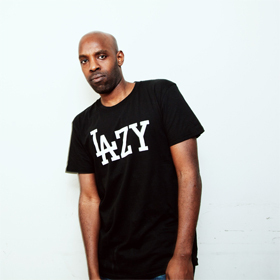 Shad has released a new video from his forthcoming Flying Colours, which you can watch below and read (the lyrics) over at Rap Genius. The album is out October 15 and he plays The Opera House on October 19. Maritime singer-songwriter Rose Cousins has announced a North American tour behind last year’s still-wonderful We Have Made A Spark; she’s at The Dakota Tavern on October 17. Exclaim reports that The Elwins are aiming to have their second album out by the middle of next year, but in the meantime are doing what they do second-best – the best being writing super-poppy tunes – and that’s touring their butts off. Amidst dates in Europe, the US, and the rest of Canada, they’ll play a hometown show at The Horseshoe on October 19. Pitchfork talks to Yamantaka//Sonic Titan about their new album Uzu, coming out October 29. Spencer Krug will release a new album as Moonface on October 29; the first song from Julia with Blue Jeans On is now available to stream. Arcade Fire has posted a trailer for their next album Reflektor, which people are assuming they’ll hear a first and proper sample from on September 9 at 9PM, as per their marketing campaign. Pitchfork has specifics on what is known thus far. The album is out proper on October 29. Update: Consequence Of Sound has the dirt – “Reflektor” is the first single, the video is directed by Anton Corbijn, and the 12″ single of it will go on sale on September 9 at 9PM if you can find a record store that is open then. Having had to cancel his June 30 show at The Hoxton, Mac DeMarco has announced the make-up date for that show at the same venue on November 24. The Music has an interview with DeMarco. After way too long, The Balconies have gotten their second album Fast Motions together and will have it out later this Fall; Ion Magazine has premiered the first video from it. Evening Hymns have premiered a new video from last year’s Spectral Dusk at Clash. Baeble Music has a videos session with Stars. Justin BroadbentThe sneak release has become something of a trend this year – “what this? Oh, it’s nothing, JUST MY NEW ALBUM HOW MUCH DO YOU WANT IT” – but that’s just not Shad’s style. Yeah, it’s been a while – over three years – since his last record of TSOL came out, but he’s done his best to keep his ever-growing fanbase satiated, releasing the excellent Melancholy & The Infinite Shadness mixtape last Summer and revealing the title of his next LP as Flying Colours via newsletter this past Spring. He’s all about keeping you in the loop. And so while last week’s announcement of the Toronto release show got ahead of the actual album announcement a bit, Exclaim now has all the information you need to know. Flying Colours will be out on October 15, providing proper context for the aforementioned October 19 date at The Opera House, and there’s a handful more Canadian dates to go along with that. He’s also opening up for Macklemore & Ryan Lewis across Canada over the next week, including tomorrow at Echo Beach, and will be co-hosting the Polaris Music Prize gala at The Carlu on September 23 with Kathleen Edwards, as long as we’re being thorough. And oh, the first video from the new record – guest-starring Saukretes – also just premiered at Mass Appeal. Shad it up. NOW welcomes Father John Misty back to town (for like the millionth time) with an interview. He plays the Danforth Music Hall on August 3. Sarah Neufeld is streaming another track from her forthcoming solo debut Hero Brother, out August 20. She plays The Drake Undergound on August 22. Chart has a video session with Diana; their debut Perpetual Surrender is out August 20 and they play The Great Hall on September 26. Braids are streaming another new track from their forthcoming Flourish//Perish, set for release on August 20. Further, they’ve just announced an extensive North American tour that brings them back to town on November 1 for a show at BLK BOX with Gainesville, Florida’s Hundred Waters supporting. Stereogum has premiered the next performance video leading up to the September 3 release of Okkervil River’s next record The Silver Gymnasium; in this one, Will Sheff plays some songs in his former high school cafeteria. He’ll do the same – with his band – on September 28 at The Phoenix. The Weeknd continues to build up to the September 10 release of Kiss Land and a trio of dates at Massey Hall on October 17, 19, and 20 with the release of a new video. Filter gets to know Speedy Ortiz, who play The Horseshoe on September 15 supporting Chelsea Light Moving. Macleans and Under The Radar talks to Katie Stelmanis of Austra. They play The Phoenix on September 27. Billboard gets some more info from Solange on her forthcoming record, though nothing as particular as a title or release date. The Fader, however, has a pretty sweet session video of Solange performing in a Brooklyn laundromat. Britt Daniel dishes to CBC Music about festival life and what’s up with the new records from both Spoon and Divine Fits; The Georgia Straight also has a talk with Dan Boeckner about Divine Fits. Tone Deaf interviews Black Rebel Motorcycle Club. And because I made something of a deal of it when the reunion was originally announced back in April, I’ll just mention that Neutral Milk Hotel’s North American itinerary has been announced and Toronto comes early in the routing with two nights at The Kool Haus on January 19 and 20. Tickets are $35.50 – $1 of which goes to the Children Of The Blue Sky charity – and go on sale Friday, August 2, at 1PM. And just as for Jeff Mangum’s solo shows at Trinity-St. Paul’s in 2011, there will be no cameras or recording devices allowed – cellphones included – so you may as well get the righteous indignation that you won’t get to Instagram “Two-Headed Boy” out of your systems now. That’s it. Let it alllllll out. FacebookThere was some sad news last week announcement last week that local stalwarts Ohbijou were going on an indefinite hiatus. Sad because not only was the city losing one of its finest orch-folk bands after three lovely albums – 2006’s Swift Feet For Troubling Times, 2009’s Beacons, and 2011’s Metal Meets – but it felt like the closing of a chapter in the story of Toronto’s independent music scene, one of particular resonance for me. After making their acquaintance when they opened the very first V Fest in September 2006, I went on to see the band many many many many times over the years and delighted in seeing them grow in leaps and bounds as a live band. Further, their debut Swift Feet topped my 2007 Polaris ballot and I felt Beacons was even better; I don’t recall why it didn’t make my 2010 Polaris ballot though coming out on the very first day of the eligibility period may have caused to get lost in the shuffle. All of which is to say that Ohbijou have been a very rewarding band to be a fan of over the years. Further, it’s not without significance that they were the very first band to open that inaugural V Fest as Broken Social Scene closed the fest the next night; that was about the time that the initial Can-indie rock explosion was beginning to settle and if you were to draw a rough circle around the artists that represented Toronto across Canada and abroad in the post-Broken era, it could well be the Bellwoods musical community led largely and hosted literally by Ohbijou. You can’t look at the lineup of artists that they drew together for the two Friends In Bellwoods compilations in support of the Daily Bread Food Bank and not be impressed by the names involved: The Acorn, Basia Bulat, The Rural Alberta Advantage, the Diamond Rings-begetting D’Urbervilles, Forest City Lovers, Bruce Peninsula, Evening Hymns, Hooded Fang, the pre-Austra Katie Stelmanis, Snowblink, Timber Timbre, and The Wooden Sky, to name but a few. These are many of the bands that over the run of this blog, I’ve had the pleasure of seeing arise from playing tiny clubs or gallery spaces to much larger stages and acclaim, and have been proud to share an area code with. And so even with so many of those acts soldiering on, with Ohbijou hanging it up for the foreseeable future it really does feel like the end of an era. But going out on a down note just wouldn’t be their style, so with this lovely video message from frontwoman Casey Mecija as an invitation, the band have announced a final show – with many of the aforementioned Bellwoods artists as guests – on September 7 at The Great Hall; tickets for the show are $20 in advance. I know everyone looked at the Arts & Crafts Field Trip fest as the year’s big celebration of Toronto’s emergence as a musical heavyweight; in its way, I think this matters as much. Braids have premiered a new video from their forthcoming Flourish//Perish; it’s out August 20. The Weeknd appears to be totally over his camera-shyness, as evidenced by Abel Tesfaye plastering his face on the cover of the forthcoming Kiss Land, which can be seen at The Line Of Best Fit. And more relevantly, the release date for said record appears to be August 27 September 10; well ahead of his three-night stand at Massey Hall on October 17, 19, and 20. Exclaim talks to Colin Stetson about getting another Polaris nod for his New History Warfare Vol. 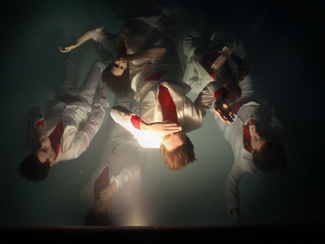 3: To See More Light and his contributions to the forthcoming Arcade Fire record. Stetson plays The Great Hall on September 5 as part of the Constellation Records touring caravan. Lightning Dust have released another video from their latest Fantasy. They play The Drake Underground on September 10. Kathleen Edwards talks festival life from the artist’s perspective with CBC Music. Loud & Quiet has an interview with METZ. Indie88 talks with Young Galaxy. Colin MedleyThe prevailing trend that I saw amongst Polaris Music Prize-spotters as yesterday’s short list announcement drew close was that there was hardly any consensus as to which of the 40 long list albums would make the cut. This wasn’t especially surprising since as I observed last month when the long list was revealed, the nominees were all over the place without a lot of big names or obvious picks; with absolutely nothing to back this up, I would speculate that this year’s ballots were the most diverse in the history of the prize. Even though three of my five picks made the short list, I’m personally disappointed that my numbers one and two, Evening Hymns and Jim Guthrie, didn’t make the cut. I genuinely thought they’d make it and in my more fanciful moments, could even envision a win if the stars aligned. Shows how much I know. Well, I know enough to not speculate on who’ll win come September 23 at The Carlu in Toronto. Even in a year with strong/obvious frontrunners, the prize has been predictably unpredictable and while at the moment I’d like to see METZ, whom I swapped for Rachel Zeffira on my second ballot, take it, I’m also really curious if and how Godspeed would respond to a win. What I do know that with two two-time almost-winners in Shad and Kathleen Edwards hosting the gala – did Susan Lucci ever host the Daytime Emmys? Martin Scorcese ever hand out the Best Director Oscar? – it’ll be entertaining. And for the first time, they’ll be selling tickets to the gala, if you want to see it in person – they’ll be $50 and go on sale July 22. The Fly talks to Raphaelle Standel-Preston of Braids, whose new full-length Flourish//Perish is out August 20. The Line Of Best Fit talks to Diana drummer Kieran Adams about their debut album their debut album Perpetual Surrender, out August 20. They play The Great Hall on September 26. Beatroute talks to Lightning Dust about their new album Fantasy. They play The Drake Underground on September 10. Dazed & Confused has an interview with Daniel Woodhead of Moon King, who’ve announced their series of Obsession EPs will be released in the UK as a single volume on September 16. I would hope that a similar edition is made available domestically, for those of us who’re a little more space-conscious with their record collections. Austra have released the second video from their second album, Olympia. They play The Phoenix on September 27. Arcade Fire have announced, via Twitter, that their fourth album will be out October 29. I like to think that somewhere in Montreal, as soon as they hit the send button on that tweet, quietly said, “boom”. Complex has posted a cover story interview with Abel Tesfaye of The Weeknd, whose album Kiss Land is due out this Fall, probably around the time he plays three nights at Massey Hall – October 17, 19, and 20. He also released a new video from the album, the sample of which was not cleared by Portishead, and Geoff Barrow’s not happy about it. KEXP welcomes METZ for a video session. Beatroute talks briefly with Al Spx of Cold Specks. CBC Music asks the likes of The National’s Matt Berninger, amongst others, why On The Beach is their favourite Neil Young album. It’s mine as well, but no one asked me why.